I saw Cirque du Soleil in Vegas about 18 years ago, so I guess I’m ready for another go around! I love my social media pals as I was reading Cara’s Facebook status about Cirque du Soleil Quidam and asked for her POC. She happily gave it up. Woot woot, now I too, will be attending the event on the opening night. • Wednesday, March 13 thru Friday, March 15 at 7:30 p.m.
• Saturday, March 16 at 3:30 p.m. and 7:30 p.m.
• Sunday, March 17 at 1 p.m. and 5 p.m.
How: Buy tix here , call 1 800 -745-3000 or in person at the New Orleans Arena Box Office. About: Quidam had its world premiere in Montreal under the Big Top in April 1996. Since that time, the production has toured on five continents and been experienced by millions of people. In December 2010, Quidam embarked on a new journey, performing the same captivating production, but now in arenas throughout North America. 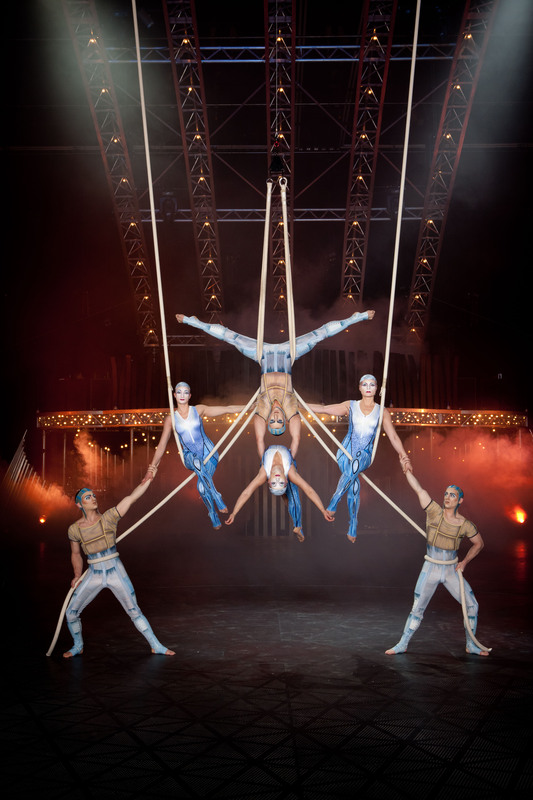 The international cast features 52 world-class acrobats, musicians, singers and characters. Young Zoé is bored; her parents, distant and apathetic, ignore her. Her life has lost all meaning. Seeking to fill the void of her existence, she slides into an imaginary world—the world of Quidam—where she meets characters who encourage her to free her soul.